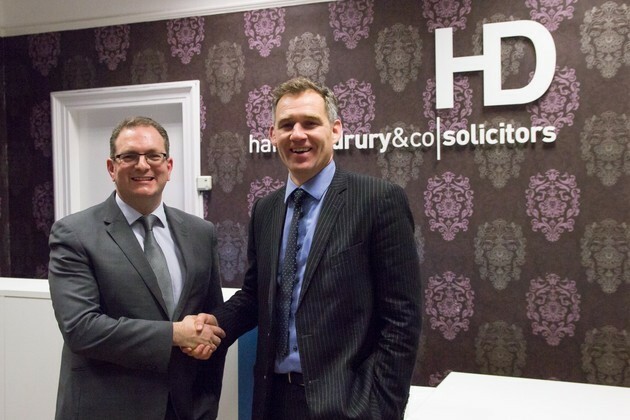 North West law firm Harrison Drury has appointed experienced lawyer Simon Price to head up its people and client development functions as it seeks further growth in Lancashire and Cumbria. Simon, whose experience includes roles with national and international law firms, including DWF and DLA Piper, has been appointed a director at the Preston-headquartered firm, which has five offices in the region. As well as being an experienced commercial litigation specialist, Simon is an experienced professional development coach and mentor. In his most recent role at DWF he developed a multi-award-winning education and employability programme aimed at young people across the UK. At Harrison Drury he will be responsible for helping people at all levels of the business to develop their full potential, enabling them to deliver service excellence to clients. John Chesworth, managing director at Harrison Drury, said: “A large part of our growth strategy is focused on developing our people and making Harrison Drury a place where they can flourish. This is evident in the high calibre of recruits we’ve attracted in recent times and our low staff turnover rates. Simon, who was born and lives in Preston, said: “Harrison Drury is a firm with strong leadership, a real sense of purpose and a clear vision. Our values driven culture provides an excellent environment for our people to develop their potential and in doing so help make Harrison Drury the legal employer of choice in the region, as well as being real alternative to Liverpool and Manchester. Simon is a board trustee at the CILex Pro Bono Trust, a national charity committed to improving access to justice for those who are unable to access legal services. He also plays an active role in Little Hearts Matter a national charity that supports children born with half a heart.